Our high tech digital display board contains all the days data! The 2013 RaftRace spoils go to the team from Buildbase who not only were victorious in the grand final but also picked up the Tracey Cadman Challenge Trophy in heat four by recording the fastest time of the day at 2m 40s. The full day’s results are available on our digital display board. 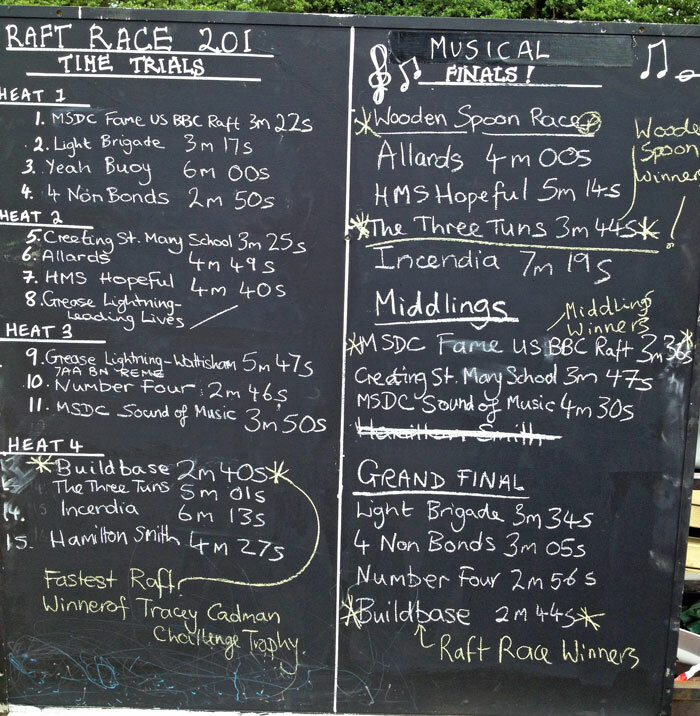 Thanks to all of the contestants for being good sports – without you we wouldn’t have a raft race!